To provide a restaurant that serves locally grown food with amazing taste, at an affordable price, where all can enjoy the flavor of community. 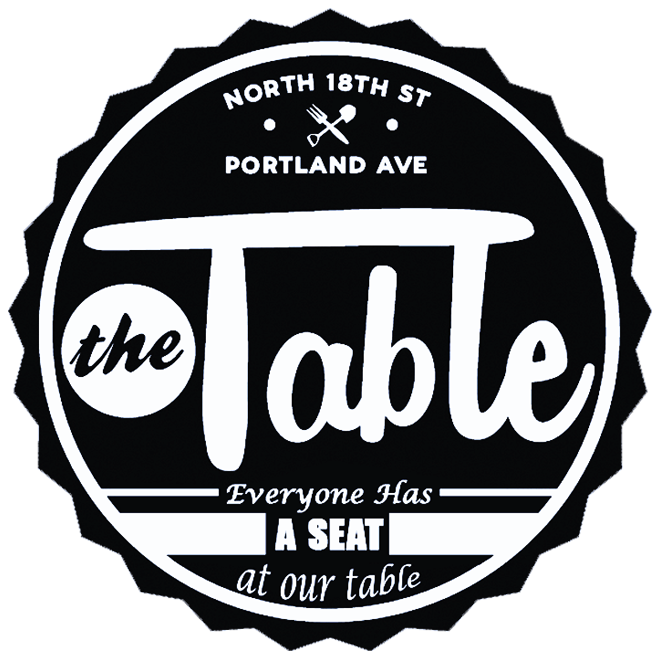 The Table is a non-profit, social entrepreneurship that serves locally grown, fresh food and operates under a pay-what-you-can model. We value a place where everyone is welcome, and we provide creative payment solutions for all. At The Table, we embrace a pay what you can afford concept by providing a few payment options. 1. Pay what you can afford to pay. You can pay with your time in service as payment. 2. Pay the full amount of the suggested meal price. 4. Give your time in service to “pay it forward” for your neighbor to enjoy a meal. The Table is nothing without volunteers who give of their time and talent. This is the heart behind our mission. We continually pray for volunteers to help us make good happen in the community by being the hands and feet of Jesus. Volunteer at The Table Cafe!